Peggy and her team were excellent. Peggy helped us to list the house at the right price and market it in a way that would generate the most activity. She and her team went over and above in terms of coordinating the many activities that needed to be completed. Peggy Patenaude is an exemplary Real Estate Salesperson. Her professionalism and caring and honest nature set her apart. Peggy Patenaude and her team were great to work with. The advice and assistance we received was very beneficial resulting in a very quick sale! "Peggy Patenaude is a phenomenal realtor. We were picky home buyers. Peggy worked tirelessly for us. She was always available for us though out the day whether it was on text, phone or email. She gave us names of professional vendors that we are using as homeowners. We couldn’t be more happy with our new home. Thank you Peggy!" 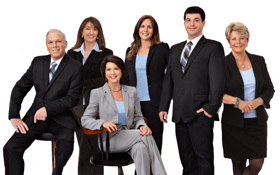 "Peggy Patenaude is an extremely professional and pleasant real estate agent. She is knowledgeable, personable and upfront. She helped us with our personal needs of selling our condo and buying our 1st home. Peggy's dedication and constant professionalism were invaluable to us. She was supportive to us by letting us know what needed to be done to sell our condo quickly and at a fair price. She was patient and full of information we needed to know to help assist us in purchasing our home. We would recommend Peggy to anyone who is looking for a professional real estate agent who will work hard and get the job done!" "Peggy's marked knowledge, professionlism and dedication made the process of selling our home painless." "Peggy is a consumate professional. She always strives for 100% efficiency while putting her clients at ease with her easy going and friendly demeanor. She exudes confidence and will work very hard to meet her clients needs." "Peggy's professionalism and networking helped sell our house quickly. Her efficient skills and warm smile made the process so pleasant". "Peggy is an outstanding buyer's agent! She is the most responsive person - she is easy to reach and quick to return calls which is crucial in the home-buying process. Peggy was so helpful to us during our home search. Her extensive knowledge of homes and neighborhoods helped us choose wisely and I am so grateful to her for not allowing us to be swayed by beautiful decorating or clever home staging. She taught us to look beyond the surface to see the true condition of a house. She is savvy, wise and a terrific agent." "Peggy is an exceptional Realtor. She was with us every step of the way throughout the process of buying our first home. She made a seemingly overwhelming process go smoothly through her continuous support, advice and honesty. You can always trust that Peggy is guiding you in the right direction and recommending all the right people to make your purchase as easy as possible. Her obvious knowledge and years of experience leave you feeling confident, knowing that you are in good hands. Peggy was truly a pleasure to work with and we would recommend her to everyone - you will not be disappointed. " "Peggy took an incredible amount of care in helping us find the right home for our family. With Peggy´s help we found the perfect home. We would recommend Peggy to anyone looking to move to the Andover, North Andover area!" "My husband and I spent over a year looking for exactly the right home to purchase before putting ours on the market. Peggy was with us 100%, day in - day out, on both transactions. She was on top of every listing that came close to meeting our critieria and her persistance and dedication is THE reason we are in our dream house today. She is incredibly respected by her peers which I firmly believe gave us a leg up on our offer. She worked tirelessly on our behalf, expertly guiding us through all the pros and cons of each critical decision. She didn´t just tell us what we wanted to hear, she was an unbiased sounding board and always dispensed useful, yet unintrusive advice. She got to know who we were as people and customized her approach based on that. We are eternally grateful for the exceptional service she provided and would both recommend and use her again without hesitation." "The luckiest thing we did when we started looking for our house, was to wander into an open house in Andover hosted by Peggy Patenaude. She quickly impressed us with her command of the business, her familiarity with the area, and her professional but very personable style. Peggy listened when we talked. She made it her mission to understand exactly what we were looking for in a home. We whole-heartedly recommend Peggy as a buyer’s agent, a seller’s agent, or, as in our case both." "We couldn’t have picked a better agent or person. You worked so hard and know your stuff. We’re settling in and love "everything" about it. With deep appreciation." "Received excellent sales and purchasing assistance from Peggy and her team." "My brother and sister utilized Peggy for their real estate purchases and recommended her highly. I interviewed Peggy and she answered all my questions easily. I also like the way she works, being a first time home buyer I didn't know exactly what I wanted. She was able to take my rough idea of what I was looking for in a home and refine it as I discovered what I liked and dislike in various homes I viewed. I never felt rushed to make a purchasing decision. It took me about a year of looking to find a home that suited me. Peggy even said at one point she wouldn't sell me a house unless she had looked at it first. Peggy really fits the person to the right home. Peggy works with multiple clients but I never felt like I had to fight for her attention. She was always available to make suggestions or answer questions. I don't know how I would have made it through the home buying process without her help. She provided me with referrals to for legal representation, financing, insurance, and home inspection. All the people she recommended were professional, easy to work with and got things done pretty quickly. After the sale Peggy provided me with referrals for a mover, AC installer and a home repair specialist. She is a great resource for finding good people to work with. I highly recommend Peggy to anyone in need of a real estate agent's services. " "Peggy and her team helped us tremendously in finding our new home. We were looking for a 4 bedroom home in North Andover in a very competitive housing market. She worked with us every weekend and accommodated our busy schedule with 3 kids until we found our home. Even when we found the home we wanted she knew how to ensure our offer was accepted. We are thankful for all the work she did for us and love our new home"